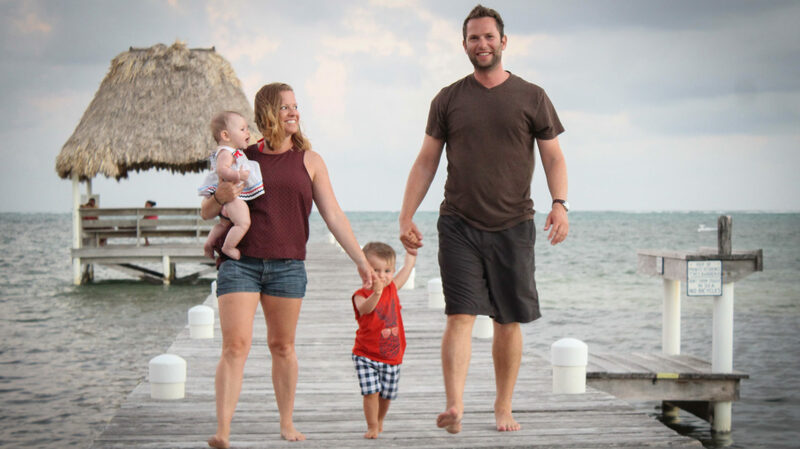 When we were planning our trip to San Pedro on Ambergris Caye in Belize, we didn’t find any of these cheap hotels online. It’s not that they don’t have websites; it’s just that they don’t come up on the first page of Google results. These hotels are all basic in their amenities, but they are clean and in a great part of town. I mention location, but there is really no bad part of town (within certain limits). One of the most appealing parts of the island is that the primary mode of transportation is golf cart. The issue, though, is that golf carts are loud and smelly. We have stayed 1 mile south of town, and we appreciated less golf cart noise and air pollution. The great part was there were still many restaurants and stores within walking distance. We also stayed 2 miles north of town where there is pretty much zero golf cart noise and air pollution. However, you can only walk to a few neighboring beach restaurant/hotel/bars. Wherever you stay, you will feel like you are in paradise. Each of these hotels has great reviews and will leave you some $$ left for all the walkable restaurants and bars on the beach. I will paint a brief pessimistic picture for you that will apply to each of these cheap hotels, but then wash that away with a picture of paradise. No, there will not be fast internet, granite countertops, deluxe comforters and pillows, bug spray for all the mosquitoes at dusk, warm indoor lighting, and spacious living quarters. BUT, you will be within walking distance to the beach and at least five restaurants and bars. The hotel will have some form of internet. Most importantly, you will be so tired from your days of exploring that your room and bed will feel amazing. Just pick one and let us know how you liked it! Standard King Rooms are located in a quiet, secure area steps from the swimming pool, restaurant & bar, and offer peace and tranquility from a fun day of activities. Newly appointed, these rooms feature king size beds, air-conditioning, cable TV with over 80 channels and en-suite bathrooms. Pedro’s Hotel offers simple decor in a clean & comfortable setting at an outstanding cheap price. tv/ free wireless and in the heart of all the action of a simple fishing village for an unbelizable rate? Belize me you aren’t dreaming, your in San Pedro, Welcome!!! Enjoy one of the 10 reef watching renovated rooms. Choose to be royalty for a week relaxing upstairs with additional kitchenettes/safe or beachfront with a belikin on a big deck chair. Hammocks are waving you in whether upstairs or beachfront. You will truly relax and enjoy a true getaway, while awaiting your friends’ return from nearby swimming, tours, diving, shopping, dancing or relaxing massage. On the exotic island paradise of Ambergris Caye, located near the San Pedro River, is Hotel del Rio. Hotel Del Rio is unique because of its authentic thatched roof cabanas much like the primitive structures traditionally used in Belize. These beachfront accommodations allow guests to enjoy the unspoiled and untouched beauties of its foliage. 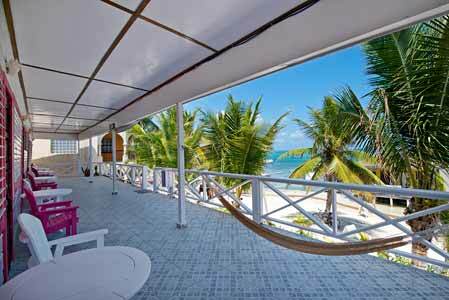 This ecologically friendly hotel was Lonely Planet’s pick for Ambergris Caye. Private bedroom with a queen size bed and a queen size sofa bed or futon bed in the living area, full kitchen, and private bath. Free WIFI in your suite and all common areas around the resort and wide screen TV with 90 channels. Your own balcony and use of the swimming pool, roof top sun deck, sandy lounging area in front of the resort by the Caribbean Sea. Beach has chairs, chaise lounges and 250′ pier with swimming area AND Free wireless internet.